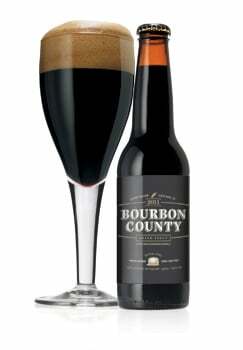 With liquid as dark and dense as a black hole, this Bourbon County Stout takes 36 hours for Goose Island staff to brew. A brewer says the AB InBev merger has allowed them to brew more specialty beer like it. Regardless of the legitimacy of that definition, certain craft breweries are still not afraid to go Big Beer and enjoy it. According to this excellent article on Boston.com, Goose Island seems to be growing, expanding and producing the same great beer it always used to — happily — or said Goose Island Brewer Brian Taylor and Educator Suzanne Wolcott. So what’s changed? According to the aforementioned article, the merger has taken the responsibilities of brewing flagship beers Honkers Ale and 312 Urban Wheat away from Goose Island. Now, the brewery simply focuses on specialty beers like Bourbon County Brand Stout. We suggest you read the entire article here.